It became official last week that the large Behlmann property off Highway 61 near Eolia has been purchased by Summit BHC and will serve as a private alcohol and drug addiction recovery center. The facility will be known as The Aviary Recovery Center and is slated to open in April this year. This will be a boost for the county economically, particularly the Clopton School District in which the property is located, and will provide job opportunities for local medical professionals. The center already has extensive information online about the recovery programs that will be offered at the Eolia location. The Aviary also has an intensive outpatient program (IOP) in Fenton on Smizer Mill Road. Summit BHC has 15 centers across the country including California, Nevada, Georgia, Pennsylvania, Louisiana, South Carolina and Texas. The Aviary will add Missouri to the list. The company boasts an individualized approach to alcohol and drug addiction recovery. The location in Eolia will provide a residential addiction treatment program for inpatient care including supervised detoxification. The facility will offer a specialized program for collegiate and young adults ages 18-25 to address abuse and co-occurring conditions. There will also be IOP services provided at the Eolia location. The facility also provides family wellness counseling to help family members engage in the treatment and support of their loved ones. The Behlmann estate is highly recognizable along the highway with its white fencing, iron gates and large water feature in front of the residence. It includes more than 100 acres of land, a large main residence and two additional buildings which features a basketball court, sauna and more. Rumors have been circulating for months about what would become of the property since it was listed as sold as of May 2016 for more than $2 million. 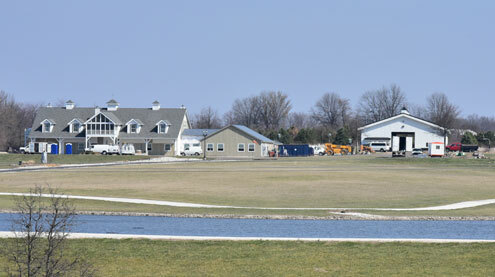 Work is currently being done at the property to complete the transition to the treatment facility for the April opening. Numerous Pike County officials have voiced their enthusiasm with the addition of the business and the valuable services they will provide right here at home. Those interested in more information about Summit BHC and The Aviary can visit aviaryrecoverycenter.com or call 888-900-2516. The company’s websites offer information about employment opportunities as well as detailed materials about the addiction programs and methods employed to helping individuals on the path to sobriety. The company is licensed by the Missouri Department of Health.